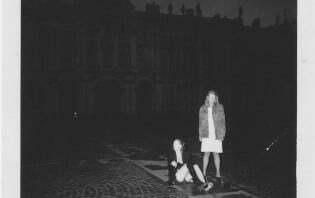 Tereza Zelenkova and Joanna Piotrowska are two female artists hailing from eastern European countries — Czech Republic and Poland, respectively — who, now based in London, work primarily in black and white analogue photography. The pair are two out of the three photographic practitioners who won the Jerwood/Photoworks Award 2015, and whose work is currently touring the UK as part of an exhibition of winning work. They represent an international continuation of eastern Europe’s rich history of photography which is entirely contemporary in flavour, despite its many links to forms, histories, and ideas of the past. Though photography is usually devoted to capturing the external world, both Piotrowska and Zelenkova allude to that which is beneath the surface: the subliminal undercurrents of history, and its eddies and flows in the contemporary unconscious. Thoroughly non-didactic in tone, they gesture allusively to ideas rather than spell out their concerns, which is perhaps why their latest works are both as yet untitled. In these new works the artists explore spaces where the everyday intersects with the uncanny. In both practices a certain sense of detachment from reality is discernible — a slight distancing, linked to working outside of the familiar bounds of naturalistic colour, as well as a darkness that extends well beyond the monochrome. In Zelenkova’s Untitled series darkness is both literal — the darkness of dense forests, of caves, of night — and metaphorical, the darkness of mystery, of myth, of enigma. As with Zelenkova’s earlier project, The Absence of Myth (2013), her latest project is influenced by Surrealism and the French intellectual George Bataille's predicate that “the absence of myth has in itself become the myth of the modern age”. Zelenkova responds to this statement with her portraits of places, heavy with the weight of history, myth and folklore. She explained her desire to capture the “genius loci” (the prevailing character or atmosphere) of her homeland, the Czech Republic. The author Gustav Meyrink called Prague “the city with the mysterious heartbeat” but Zelenkova asserts that there are many places in the Czech Republic that beat with what she calls this same “dark, hidden pulse”. Elizabeth Bathory's bedroom, Čachtice Castle is an image of an empty hole in Čachtice Castle’s stone wall: a symbolically fraught black void. The infamously bloodthirsty Countess was walled up inside a castle tower for her crimes, and died after four years of this immurement. The room pictured is a former bedroom, and the hole allegedly a secret passage to a torture chamber. However, these specificities are almost irrelevant: the image, imbued with Freudian associations, is provocative nevertheless. Though Zelenkova focusses on places often connected to murder and other villainies, or particular Czech folkloric traditions, the work’s power is not contingent on knowledge of particular geographical or historical contexts. Zelenkova sees the voids she depicts as “spaces left to the imagination”. These spaces appear frequently in her practice: the darkness beneath the evocatively titled Devil's Table, or the foreboding obscurity of a staircase within a natural rock formation in Stairs, Prachovské skály. Voids also feature in previous projects, such as her collaboration with Peter Watkins entitled Index of Time (2012), which explored the Czech Republic’s Býčí Skála cave. This motif, says Zelenkova, is “an exploration of darknesses that represent both absence and presence”. 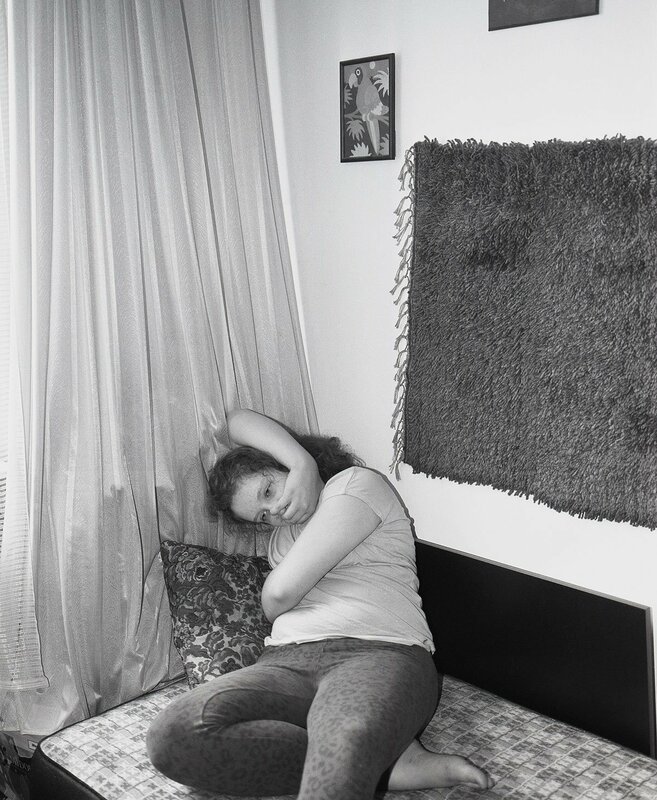 As in Zelenkova’s work, Joanna Piotrowska’s most recent series features an oblique focus on violence. However, in Piotrowska’s work the violence is not tied to any particular events but instead alludes more generally to the physical and structural violence enacted against women. The Polish artists’ project depicts young women in domestic environments, holding various postures taken from self-defence manuals. We see a hand raised to a face, as if in a trance; limbs precariously balanced or ambiguously entangled, contorted against an unseen adversary. It is unclear whether gestures are benign or threatening, whether these girls are menacing or being menaced. As in the widely acclaimed earlier series Frowst (2014), unconscious psychological dynamics are examined within a pervasive atmosphere of intangible threat: there is a haunting sense of anxiety, an airless discomfort in the domestic sphere. Piotrowska's work is inspired in part by the writings of feminist psychologist Carol Gilligan, who argues that between the particularly vulnerable ages of 11 and 17, girls learn to suppress elements of an inner self; in doing so, they lose a part of themselves. This loss occurs to fit the demands of patriarchal society and a culture dominated by values associated with masculinity. Piotrowska’s project is no lament, however: there is a strength in their uneasily fluctuating gestures. If there is an artistic precedent, it is Polish performance and photographic artist Zofia Kulik’s images of female bodies that combine the vulnerable with the militaristic. Piotrowska’s practice is driven, she says, by “life, not art”, and her work sits somewhere between performance and photography: psychologically charged movements and actions are constructed with their documentation in mind. Like the Polish theatre director Jerzy Grotowski, who radically linked performance to personal and collective transformation, Piotrowska, who once trained with performance artist Marina Abramović, directs people personally affected by the topics she explored — in this case, adolescent girls growing up within the patriarchal system — to create work that sits between fact and fiction. These two disparate artists, their work paired together by the judges of the Jerwood/Photoworks Award 2015, undoubtedly do share certain qualities. Alongside obvious similarities of medium, and the status of both as emergent artists from an eastern European background, there are parallels in the content of both women’s practices. Both Piotrowska and Zelenkova explore violence (with varying degrees of explicitness) in their untitled recent series. Likewise, both artists’ work allows enough interpretive space in their projects for viewers to project their own emotions (and, potentially, traumas) into the field of meaning. Yet much as Poland and the Czech Republic share a border interlaced with connecting cave systems yet are indisputably themselves, so are the artistic visions of Tereza Zelenkova and Joanna Piotrowska uniquely their own.